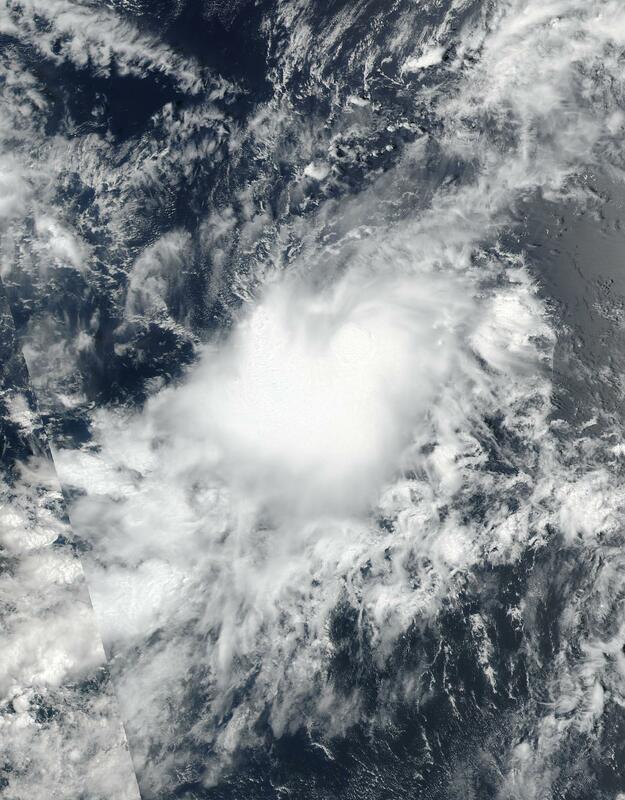 The Visible Infrared Imaging Radiometer Suite (VIIRS) instrument aboard took a visible light picture of the Jose on Sept. 5 at 11:18 a.m. EDT (1518 UTC). In the image bands of thunderstorms had developed as the storm continued to consolidate and organize. Satellite imagery showed that the center was well-defined, yet somewhat elongated. On Sept.6, Jose appeared much better organized. At 11 a.m. AST/EDT (1500 UTC), the center of Tropical Storm Jose was located near 13.1 degrees north latitude and 44.5 degrees west longitude. That's about 1,135 miles (1,825 km) east of the Lesser Antilles. Jose was moving toward the west-northwest near 17 mph (28 kph) and this general motion is expected to continue over the next couple of days. Maximum sustained winds are near 65 mph (100 kph) with higher gusts. Continued gradual strengthening is forecast and Jose is expected to become a hurricane later in the day on Sept. 6. The estimated minimum central pressure is 998 millibars.